← Open early childhood courses: How do they match up to MOOCs? Use your computer to study the Autism Spectrum from home, with these free high-quality courses. The AIM project provides parents and professionals with the up-to-date information needed to help individuals with Autistic Spectrum Disorders achieve their highest potential. To this end, OCALI offer 43 comprehensive & sophisticated modules, alongside their free textbook the ‘Ohio’s Parent Guide to Autism Spectrum Disorders‘ which features in the training. There’s a one-off free enrolment required to access these excellent resources. * Building the family-professional partnership. The five modules feature slides, videos and quizzes, and as with the OCALI modules above, there’s a one-off free enrolment required to access the modules. This 2010 initiative by Frank Volkmar at Yale University’s Child Study Center offers free undergraduate course materials to anyone wishing to learn about Autism Spectrum Disorders. It is divided into eleven topics and comprises PowerPoints, videos, audios and some readings. No enrolment is required, and the project is released under a Creative Commons license. The resources offered by Yale are of very high quality, but unfortunately some of the recommended core readings are in expensive books or subscription journals, making them inaccessible to many ordinary people. The Thompson Center Autism training modules – smallest and easiest. OCALI’s Autism Internet Modules – a broad range, similar in style to those of the Geneva Centre for Autism. 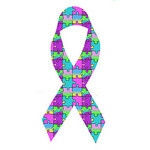 Yale’s Autism and Related Disorders – comparable with those from MIT and the Open University. My current overall favourite is the range from the Geneva Centre for Autism, for their attractive and engaging presentation, their bi-lingual versions and their release with a Creative Commons license. This entry was posted in Course, Creative Commons, Lecture and tagged autism, disabilities. Bookmark the permalink.